The Georgetown Running Club is a nonprofit organization whose mission is to promote and encourage running, walking, and fitness in the community and to provide competitive and non-competitive activities for its members and the general public. Race morning will feature a timed 2 person, 5K relay starting at 8am. Each team member will run 1.55 miles and awards will be based on the combined time of the team. 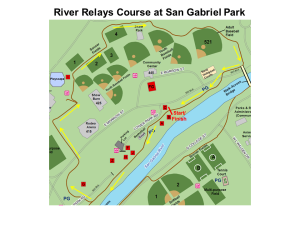 The race will start and finish inside San Gabriel Park and consist of 1 loop for each runner on the San Gabriel Park trail. Spectators are welcome! Challenge your family, friends, co-workers, and classmates to come out. We encourage carpooling to save natural resources. Team registration $30 online, includes a race packet and shirt (guaranteed shirt for entries received by Jul 9, after that while supplies last). Entry fee increases to $40 on Jul 10. Entry increases to $50 on race day, Jul 23. 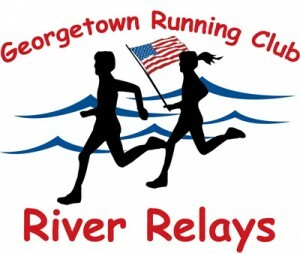 All Georgetown Running Club members receive a $5 discount. Guaranteed shirt for entries received by Jul 9, after that while supplies last, so register early. Shirts must be picked up prior to the start of the race and will not be held after the start of the race. Awards presented to top three in several relay divisions.